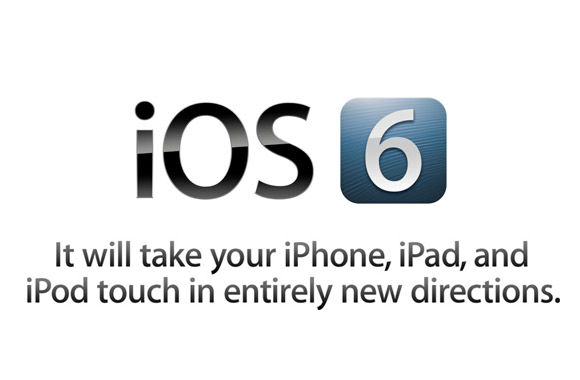 Last week Apple announced iOS 6, a major update to its mobile platform. The announcement took place during WWDC where Apple also introduced the all-new MacBook with Retina display. Since we’re more iOS-focused, let’s take a look at what’s new with that. Siri was a quite revolutionary feature which came with iPhone 4S, however it had some issues. Sometimes poor understanding of your speech, failures to get the right information etc. didn’t help much to make Siri your real personal assistant. With iOS 6, Siri will get integration with sites like Yelp and Rotten Tomatoes so you should get some better reviews, some new languages will be added, it will become available on iPad as well, and finally – you’ll be able to tweet just by talking to your iPhone. No more Google Maps on your iPhone; Apple decided to implement its own mapping system for your Maps application which now allows you to search for local information, get live travel updates and in the future you’ll probably get features like 3D view of some interesting spots in the world. Not only that, Maps now have integrated voice, turn-by-turn navigation system so finally, your iPhone won’t need some expensive apps to navigate you and your car in the city. It seems that Apple will use TomTom and OpenStreetMap data for its navigation system, which is pretty cool. After Twitter got integrated with iOS 5, it was only a matter of time for Facebook integration to come alive and here it is – iOS 6 is deeply integrated with the system and just as you can tweet a photo right from your Photo Stream, you’ll be able to post it to your Facebook profile. Once synced with your Facebook account, your iPhone’s calendar will get all the birthdays of your friends too, so you’ll never miss another one if you’re not at your computer during the day. OK, now this is awesome and practical – you know how you put your iPhone on silent when you’re in a meeting or somewhere you can’t be disturbed? But notifications keep coming, the iPhone is buzzing and you’re still getting distracted. Personally, in these situations I like to put my iPhone in the Airplane mode so I get off the grid completely. However, Do Not Disturb mode will still allow you to be “on the grid” but it won’t ring or buzz or disturb you in any other way. Once your meeting is over and you’re in the clear, you can easily check all the messages and notifications you got. Some other new features include cellular Facetime, so you won’t have to be on a Wi-Fi network in order to make a Facetime call with a friend. Safari will get the ability to save sites to an offline reading list, making services like Instapaper obsolete. There are some updates with the mail app as well, which will get VIP lists, while sharing photos will become much easier now as you’ll be able to attach them to an email message while composing it. If you’re a 3GS, (original) iPad or 3rd-gen iPod owner, your devices will be left out from this update. To be more precise, the 3GS will get an update but without turn-by-turn navigation. The same goes for iPhone 4. Check out all the news about the new iOS 6 on Apple’s site. If you’re a developer, you can get the iOS 6 early beta, however, Apple will wait until the fall 2012 to release the full version to all its devices. iPhone 4S Price, Dates and What Else Is New in Apple?